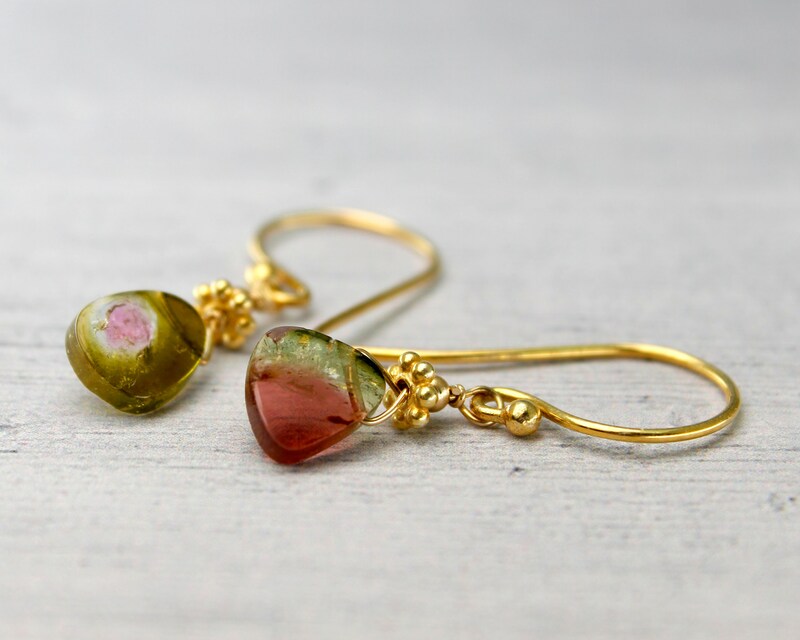 Unique, One of a Kind Tourmaline Earrings. 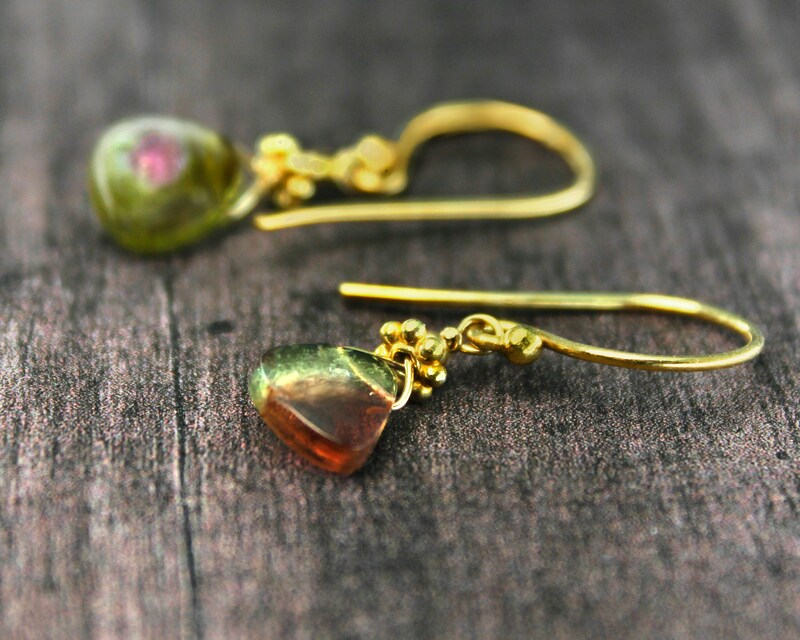 They are natural tourmaline, and therefore each stone is a bit different. This is what we love about them! Handmade with love. 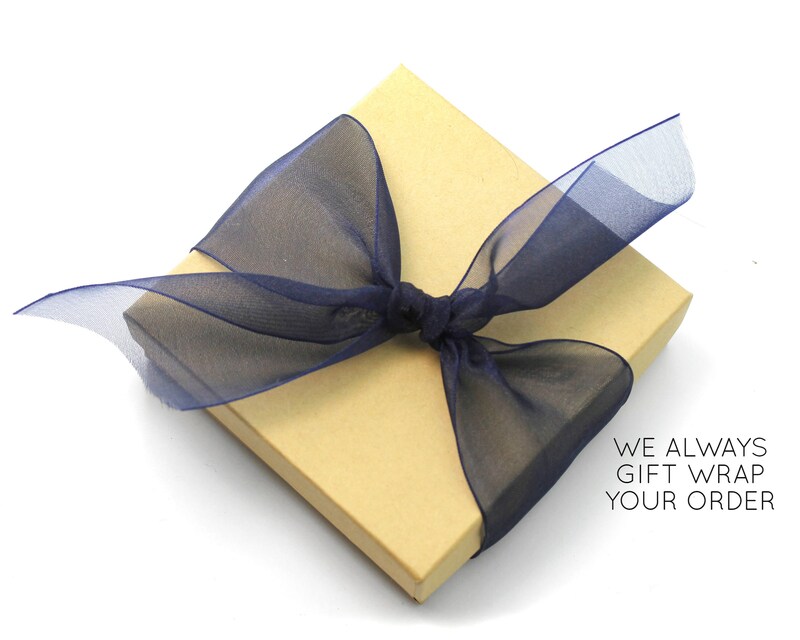 It's the October Birthstone and they come gift wrapped.